Providing the person is found in good condition, this must surely be one of the high points of many a bushwalking career! Make an immediate call to base (out of earshot of the person) even though this will be followed by a more detailed report after the situation has been appraised. This will allow the search organisers to begin making evacuation plans and may prevent further groups being sent to other areas unnecessarily. The leader of the group finding the lost person will assume local control and coordinate the activities of other groups sent in to assist, either throughout the evacuation or until a more senior person (such as a Police Officer or FO) arrives at the scene. No matter how fit the lost person seems, do not neglect to make a thorough examination before the person is allowed to walk. Many people keep going strongly through a crisis but suffer a sudden collapse when they no longer need to continue. The possibility of hypothermia, exhaustion or shock needs to be considered and other medical conditions may be known. The first step is to find out how the person feels. While the first aider is busy, the Group Leader should inform base of the situation and the exact location of the group. As soon as the casualty’s condition has been assessed, the Group Leader will request whatever back up they consider necessary. If the lost person is found to be injured, the above steps will still need to be taken and then some careful thought given to casualty support and evacuation. If the casualty is to be carried out, support groups will be needed, in which case it may be necessary to guide them to the scene. If evacuation is to be by helicopter, a clearing large enough for the aircraft to land will be ideal. Failing that, a large enough clearing from which to winch the casualty may be required. The Group Leader will also need to consider the needs of their group. Sometimes the casualty cannot be moved until the next morning, either because of the lateness of the hour or because the casualty’s condition needs to be stabilised before being fit to travel. In this case, the group may be facing a night with limited tents, sleeping bags and food. It may be possible to arrange for extra gear to be brought in with support groups. If not, the group will need to use the time available to improvise shelter and to collect an abundant supply of firewood to last them through the night. Do not assume that the person is dead unless it is obvious (massive injuries, decomposition). Carry out an exhaustive search for signs of life, particularly in cold conditions. The body may be very cold and the heart beat and respiration very difficult or impossible to detect but the casualty may still be alive. If any doubt whatever exists, the casualty must be assumed to be alive and every effort made to begin appropriate treatment. Again, while treatment is proceeding, the Group Leader should inform Base of the exact situation and request whatever support they feel is appropriate. If it is apparent that the casualty is dead, try to avoid moving the body until clearance is obtained from Police. Police are official agents of the Coroner and will almost certainly want to visit the site. Indeed, the Coroner may wish to attend if there are lessons to be learned from the incident. Exceptions to this rule occur when the body is at risk, for example if it is likely to be washed away by a rising creek or damaged by animals. Many people worry that they could not cope with examining or moving a dead body. While this is a very natural concern, experience suggests that most people, while saddened by the death of a fellow human, are not unduly affected by the body itself If you feel you cannot help, tell your Group Leader and do not feel guilty about it. After all, dead people no longer need our help. 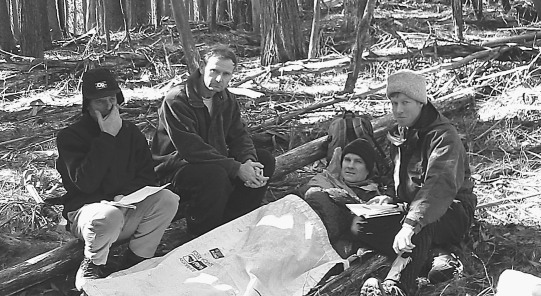 Group Leaders should limit the number of people going to the site of the body and should allow those people a few minutes to collect their thoughts and reconcile them as much as possible. Few of us are faced with the reality of death often enough to have a well-developed philosophy to fall back on. Be aware that radio traffic is often heard by others, including the media. Police are progressively introducing secure channels, but until they are available for searches, assume others are listening.